Gaithersburg is becoming increasingly diverse and is one of the top six most diverse cities in America. A diverse city can be a great way for kids to interact with each other, improve their knowledge and be more understanding of different cultures. “I have seen Watkins Mill become more diverse and I believe that the more places kids come from, the stronger our school gets,” social studies teacher James Torrence said. Growing up with different types of cultures and ethnic groups can be beneficial for kids. They can learn about new cultures, religions, and how to respect their differences. “You’re open to all types of things such as food, you are not stuck with the same people and food. It can also be boring to expect the same people and food in your everyday life,” senior Jamil Malik said. “It can widen peoples’ perspectives and knowledge on many other cultures,” senior Jennifer Lopez said. Lopez said that she has learned so much about her friends’ culture from being around them and their families. 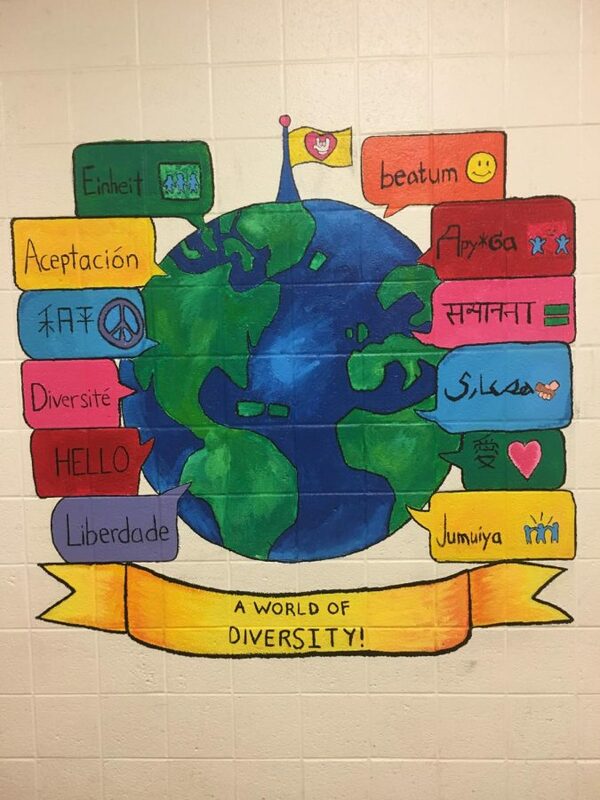 “Living in a super diverse environment, it makes everybody more respective and appreciative of other cultures,” English teacher Richard Courtot said. Courtot’s graduating class from high school was 95 percent white. “I could count the number of non-white people with the fingers on my hand,” Courtot added. “You have this opportunity to educate the community with different cultures. You are not just Hispanic, you are Guatemalan or Salvadorian,” English teacher Julie Walthers said. “You can learn things about your culture that you didn’t know before. Having a diverse community can help discover more of yourself,” freshman Marvin Rodriguez said.